The Best Chocolate Chip Cookies Paleo and Low Carb, grain free, gluten free, and a sugar free version. This is my favorite paleo and low carb recipe for chocolate chip cookies, and I can’t even count how many batches of chocolate chips cookies I have made over the last few years that were just not good to kinda okay. I have different kinds of cookie recipes on my site, but not a plain old-fashioned chocolate chip cookie recipe. I always had to add some other ingredient to them to make them have a better texture or taste, which made them a different kind of cookie. There should be an award for the most failed batches of cookies because I would be shoe in! These are a keeper though, and not a one time fluke either. I have made batches of them several times, and they were consistently awesome!! My daughter said, “these are gluten free cookies, mom?” I said “yes”, and she said, “great job mom, they are surprisingly really good”. Everyone is a critic, lol. Add egg, molasses, and vanilla extract to mixing bowl and mix in until combined. In a separate large mixing bowl combine: almond flour, coconut flour, baking powder, and sea salt. Stir until combined. 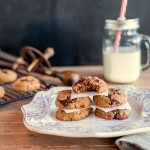 Best Chocolate Chip Cookies Paleo & Keto. These have the best taste and cookie texture and still grain free and have a paleo or low carb option. I made this with coconut oil instead of butter. My batter felt a little too wet, so I added about 2Tbs more almond flour. They turned out perfect, really chewy. Thanks for a yummy recpie!! Hmmmm tried these a couple of times now, they look spot on right up until putting them in the oven… then both times they’ve turned into a large sheet of uncooked cookie dough hahahaha. I’m definitely missing a trick some where!! Hi Josh, try making sure the butter is cold before mixing, or can also refrigerate the cookie dough balls on the baking sheet until nice and cold before baking. Also, make sure there is a good amount of space between each cookie to give room for a bit of spreading. I have tried several low carb or paleo chocolate chip recipes. Made these last night, used half erythritol and half coconut palm sugar. I may have baked 1 min. longer, they came out crispy. But they tasted great and I love crispy cookies anyway, but next time I will bake according to the instructions. So far, these are the bet CC cookie recipe I have made since eliminating wheat, grains and sugar from my diet over 2 years ago. Thank you so much, Lena, for trying the recipe and your very kind words. Crispy is great, especially if like to dip them in almond milk or coffee. These are really delicious. I agree they are better than the sugary floury traditional cookies! Even my 2.5 year old loves them. I used high quality butter and brown sugar style Sukrin gold for the sweetener, Lilly’s stevia-sweetened chocolate chips, and used walnuts instead of pecans. Did not use molasses. I think using real butter makes a big difference in the taste. Thank you for trying the recipe and your kind words, Heather. So glad you enjoyed them! This is so good! I used half part Brown swerve, Brown monkfruit and 8 drops stevia liquid. I used both Lily chocolate chips and Lily salted almond bar that I chopped into med size bits. It was the best! My hubby didn’t notice it wasn’t a normal flour based cookies. Thank you! Awe, thank you, Kittie, for trying the recipe! So glad you & your hubby enjoyed them! I really enjoyed these cookies but I can’t figure out why the cookies didn’t flatten out like yours. The remained in ball form. Any ideas of why they would do that? I have not had this happen to me, but a few viewers have and I’m not sure if it is the altitude or the oven temperature. But one viewer just flattens hers with a spoon a little before baking. But when I do that, they spread too much. Can’t wait to make these tonight. My question is the # of calories, carbs and sugars shown in the nutritional data does this include the molasses and pecans in this recipe or without? Yes, it includes the pecans and the small amount of molasses. This is the first time ever that I’ve commented on a recipe. These are the best cookies that are low carb!!! I followed the recipe and they turned out delicious. I was truly amazed that something healthy tasted so good. Thank you for the wonderful recipe!!! What sugar replacement did you use in the video? Yumm!! Wow, never need to crave a “normal” cookie again.. these are amazing. Don’t try substituting the butter for coconut oil though they won’t turn out right. Thank you so much, Kyra for your kind words. I recommend using butter or sustainable palm shortening in the recipe, not coconut oil, as I have tried that as well, and it did not work. I have tried so many of your recipes and have never been disappointed. I have been enjoying your recipes for about 2yrs now. I LOVE these cookies! I only had cocoa nibs and they turned out great! I used pyure. I put them in the freezer, take them out for just a minute and love them! Thank you again so much for helping me endure this woe! Thank you so very much, Dana, for your very kind words and sharing tips. Cocoa nibs are a great idea! These are the best!! A carb curber go-to. Hi! Sorry, I can’t find a way to comment, only reply. I just baked these for the first time and they are really delicious! The only thing is mine didn’t come out crispy at all, just cakey. Did I do something wrong? Hi Pam, Maybe a little longer in the oven or perhaps a longer cooling time?? These are perfect. I took a picture, but don’t see how to post it. Thanks so much for the discipline to make this recipe perfect! Thank you so much, Mary, for your kind words. I don’t WordPress has a photo uploader in comments like FB does. These are.the best Keto cookies ever! These cookies are amazing! They were sooooo good even my little ones and husband loved them! Def saving this recipe to make more. Thank you! So good, great texture! Next time I will use less swerve though, they were way too sweet. I used a 1/2c this time, 1/4 granulated and 1/4 powdered. I am so looking forward making these cookies. 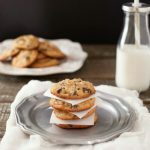 My husband has always loved my chocolate chip cookies, but he is diabetic and now on insulin, and I was diagnosed a month ago with celiac disease – so finding recipes for both of us is sometimes difficult, I have all these ingredients on hand, and I will give you some feedback on what we think. Thank you so much, Janet. I know what you mean, it takes awhile to get used to shopping and cooking for gluten-free & sugar-free diets. Ok – I made the cookies tonight, and they are a hit! I used Lily’s sugar free dark chocolate chips and followed the recipe – hubby totally approved of them….tasted good to me, but I am not the big chocolate chip cookie fan he is. Thank you, Janet, for taking the time to comment! So glad he likes them. I sure wish I was not a cookie fan, lol. My fitness pal does not remove the unusable carbs from the low carb sweetener (Swerve) which has 0 net usable carbs and they also get so much of the nutritional data wrong. One time they reported 1 tsp garlic powder as having 900 carbs. So, you have to check every ingredient against the USDA site which is more accurate. I made these cookies today. They’re delicious! They actually spread out more than I anticipated, but I think it might be because I used a little extra butter and added 2 tsp of vanilla instead of just 1/2. Either way, this is definitely a keeper! Thank you so much for your kind words, Hima. I have had that happen too, when I put in a little more butter than the exact amount in the recipe. These cookies were amazing!!! SO good!!!! I followed exactly using the amount of Swerve you suggested…and instead of the molasses I used 1 Tbs of Splenda brown sugar. When they had been cooking for 14 min I used a spatula and flattened them a bit in the oven and then continued to cook until browned. After they cooled my husband tried one (and I had already snagged one to sample). He loved it too! These are my new favorite cookie!! Thanks!!! Thank you so much, Jennifer 🙂 I am thrilled you are enjoying them. Best idea ever!!! Eliminated the cooling taste and gave it an actual cookie taste. Best low carb cookies by far and I have tried so many recipes already and almost gave up. These were delicious! I used the coconut sugar, pal shortening option- no molasses. I used organic choc chips since my grocery didn’t have ‘paleo’ chips. Is that considered gluten-free and/or paleo? Still learning! Thank you, Christina. The chips are most likely gluten-free but would need to be soy-free as well to be considered paleo. Omg these are amazing!!! My boys 11 and 7 love them, and that makes me super happy!! Who needs flour? Not me!! Thank you for this amazing recipe!! Thank you so much for your kind words, Rosy. So glad your boys are enjoying them! My keto husband and gluten-free roommate are over the moon about these!!! I omitted molasses and used pyure (erythritol stevia mix) as my sweetener. I little bit of a cooling effect in the aftertaste but less than when I used swerve granulated… the 2/3 cup was still the perfect amount of sweetener. THANK You for this recipe!!! Yummy! Turned out great, i omitted molasses and did the chopped pecans, will definitely make again! Thank you for trying them and your kind words, Danica. I made the sugar-free version and they were great! This recipe is definitely a keeper. Can’t wait to take these to the Christmas Eve celebration at my church tomorrow. Thank you so much for breaking down the carb count and explaining how it works! These cookies are wonderful!! No problem Ginni. It can be very confusing, especially the sugar alcohol part. i only have stevia on hand, can i use that? if so, how much would you recommend? Jess, these are best with a sweetener that has a stevia combination type of sweetener like ( stevia-erythritol or others). Some stevia sweeteners used alone can be sort of bitter. I have made other keto chocolate chip cookie recipes that were disappointing, but this truly is the best recipe! I omitted the molasses and nuts, I also used 1/3 cup of Swerve and 1/3 cup of Surkin Gold as the sweeteners and it turned out wonderfully. Thank you so much for this recipe, I’m now tempted to make these every day! Thank you so much, Anita, for your extremely kind words. We love these cookies. Wondering if I make several dozen at a time, can I freeze them? Hi Pam, I would think that you could freeze them. My family eats them before I usually get a chance, lol. I just made these cookies-made a couple of changes because ithese were the ingredients I had on hand but they still came out great-thick but airy, better than any store bought. I substituted little less than half the almond flour for oat fiber. Used jumbo eggs and 1/8 teaspoon more vanilla. Swerve powdered not granular, and 100 percent cocoa bakers chocolate. They came out fantastic and I’m hoping the oat fiber lowered the carb count some;) (also I baked at 3:20 for 14 min) Thanks!! Thank you, Nicole, for trying the recipe and sharing your additions and letting us know the results. They sound very good! Thank you so much for this recipe! Family finished a round of Whole 30 last month and we’ve been trying to eat paleo. Thank you so much for such a wonderful satisfying recipe!! My kids and husband also thank you!! Thank you, Angie, for you’re kind words and for trying the recipe. It really makes my day that your family is enjoying the cookies. Rachel, it is one cookie per serving. Reha, you can’t move them until they are almost completely cool. I made these with part monk fruit sweetener and I’ve decided I don’t care for it, but I know my husband will enjoy them all! Since they’re so easy, I’ll definitely make them again when I get the proper sweetener! I also made our batch with monk fruit and no molasses or nuts. They turned out fantastic however in the future i might do a 1/2 cup instead of 2/3 cup but my husband and everyone else who tried them didn’t think I needed to change a thing. No one could even tell they weren’t “regular” cookies. So monk fruit does work great. I made these today and had to eat one before they cooled. They are the best low carb cookie I have ever made, I have made many kinds and not one has been nearly this good. I’m not strict low carb so I also add a little bit of sugar as I have discovered that it makes a HUGE difference in the taste and minimizes the cooling sensation. Mine did not flatten at all but I did not couldn’t on it, looking at the recipe, so I flattened them before baking. Stine, Thank you so much for trying the recipe and sharing your experience & tips. I really appreciate your kind words and feedback. These are delicious. I used rapadura for the sweetener. Thank you, Jeri, for trying the recipe and your kind words. I have not heard of Rapadura. Going to Google that one. I made these cookies tonight!!!! Wow!!!! They are amazing!!! I used sugar free syrup in the place of the molasses!!! So yummy!!!! Thank you so much for your kind words. So happy you enjoyed them. So you used sugar free maple surup? That is really interesting! Never even thought of that. Oh my gosh, I am so thankful to have found this recipe! My 11-year-old is a carbaholic, which I’m trying to curb, and I was recently diagnosed with diabetes, so we’ve been in desperate need of alternative goodies. These are excellent! I had to use Splenda because it was what I had, and 1/3 cup gave the perfect level of sweetness. The cookies kept their shape, so I had to flatten them slightly. Absolutely no critiques. Keeping this recipe forever. Thank you so much for sharing it. this recipe was wonderful. only used 1/3 cup of swerve (personally dont love the texture when theres too much) and it was perfect. also added coconut flakes for texture. thank you so much for posting! so yummy. Thank you so much, Lisa. Glad to know it works out with less sweetener. Erythritol. …how much would I use to have a slightly sweet cookie? 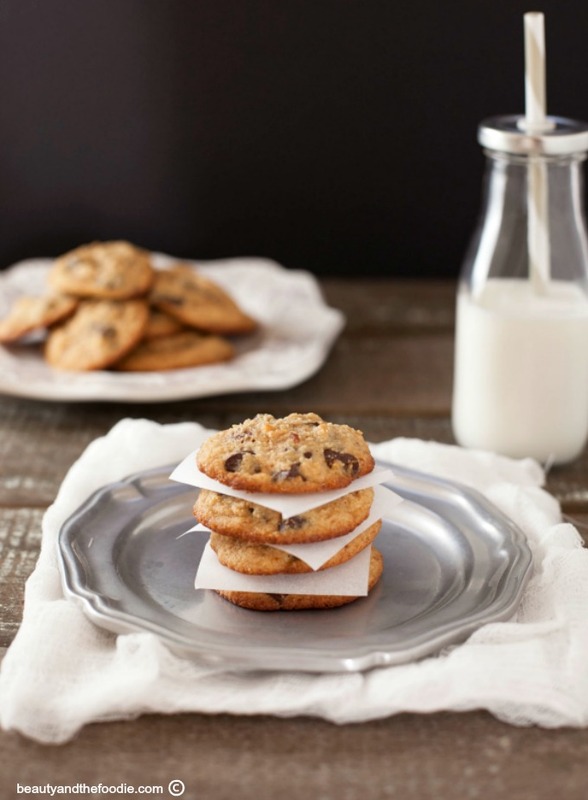 I’m going to make these tomorrow and guess at the amount because I just got Honeyville almond flour and I so much want a crispy edge chewy chocolate chip cookie. Yum! Loie, I would use about a 1/2 cup sweetener for an only slightly sweet cookie. I didnt see where you listed what molasses you used. Blackstrap? Brandy, I used organic blackstrap molasses. These are fab! I used 1/3 c Erythritol with a tiny bit of Stevia powder. I pressed them flatter after baking since they didn’t flatten while baking. Next time I will use even less sweetning. They are so satisfying! Yay , I now have a cookie that I love to eat! Loie, try maybe a 1/2 cup for slightly sweet. Loves these! I used swerve, added a little molasses and as well as the almond and coconut flours I also added just over a third of a cup of pb2 powder and now they’re chocolate chip peanut butter cookies. Score! Thank you so much Martina. I’m not entirely sure, but I’m thinking they might need that yolk to bind the cookies, so they don’t fall apart. Been on a keto diet for two months now, I have a ravenous sweet tooth thanks to my Scottish Gma. Tried several low carb cookies, treats and all were ok to failure. This recipe is a KEEPER!! I’m sooooo glad I came across this recipe. This is one to pass down as a family recipe. I did not put molasses in but mine did not flatten out, I pressed them round after the first batch. I don’t know why but it doesn’t matter cause the are wonderful!!! Thank you Stacey!!!! Hi Caren, thank you so much! You’re too kind 🙂 I well know the failed low carb treat experience, lol. I also have a sweet tooth thanks to my mom and other relatives that are unbelievable bakers of sugary carb loaded treats. So thrilled you are enjoying the recipe. It just makes my week to hear this. Hi Emily, Yes, using a different sweetener can change the texture. I have noticed this. If your making low carb version it is best to use Swerve or truvia brown sweetener (Truvia is used in smaller amount though, 1/3 cup), or other erythritol based sweeteners. They might extra sweet, but hopefully still good. I used Raw Sugar for the sweetener and raw honey instead of molasses and they were wonderful! After you place them on the parchment paper, do you flatten them with the palm of your hand or do you leave them in round shaped balls and they flatten on their own? Natalie, I did not flatten them, as they kind of spread out on their own in the oven. Hi: I made these cookies twice. Both times delicious! I’m not hugely concerned about Paleo, just wanted something lower carb for my diabetic sister. I used Splenda as the sweetener. The first time I followed the instructions to ‘cream the butter and sweetener, but Splenda does not cream very well, like real sugar. When I made them today, I melted the butter and mixed it with the eggs and vanilla. I then added the Splenda to the dry ingredients and continued the recipe as described. They came out even better! Such a nice treat. Thank you!! Can I use stevia instead of swerve or coconut sugar? If so same amount? I can’t also have salt or molasses. Would the recipe work without those ingredients and with stevia? Hi Lina, Possibly an erythritol- stevia combo type granular sweetener (like truvia), or a monk fruit type granular sweetener would work. Stevia does not work out so well in this recipe. You can omit the salt and molasses. I am allergic to Almond flour is there some other flour ? Kathleen, can you have cashew flour? Neither can my son. He can’t have any kind of tree nuts. Would coconut flour work? I have not had good results with all coconut flour. But I will hunt around Google for a good recipe that is nut free later today. Sunflower seed flour is a good replacement for almond flour if he can have seeds, and if you don’t mind it turning slightly green if you’re mixing it in with either baking soda or baking powder, I forget which one. It’s a 1:1 ratio too so you just measure out the same as it calls for with the almond flour. It’s not cheap to buy so I’d recommend learning how to make your own for a fraction of the cost. By the way I forgot to say I loved them thanks so much for the recipe will definitely be making more. I made these cookies with my little man who is 3years old he had so much making and them and eating them. The only problem is they did not come out the same as the picture they stayed small and fat like a ball. What did I do wrong? I followed it to the last ingredient. I think I used Splenda for sugar can you not use that? Would putting the cookie sheet in the refrigerator for 10 minutes or so, prior to putting them in the oven, help with the cookies spreading? Lynette, the freezer would be even better for that. Just made them…they are really good! The only thing I didn’t have was Molasses or pecans, but I did not substitute it with anything else and I really enjoyed the recipe. The only comment i would make is it was probably be easier to mix the butter with sugar if it was at room temperature. Jenny, Thank you so much for your kind word . Yes the butter can be softer for mixing but still cool, and not melted, or the cookies can spread while baking. Delicious cookies. Thank you very much. Regards from Costa Rica. Silvia, thank you so much! I wish I was in Costa Rica right now. Stunningly beautiful there. One word AMAZING!!! Without any guilt! Thank you for the wonderful recipe and what a treat! These are delicious!! I omitted molssaes and for the sweetener I used 1/3 cup Splenda brown sugar blend. 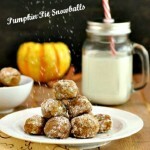 I almost wish I wouldn’t have found this recipe because they are sooooo addictive. Thank you for posting. Wow! Just made my first batch…delicious!!!! I’ve been on the Keto diet for 2 months and have not had much success with keto sweet recipes. So glad I tried this recipe. Jennifer, thank so much for trying the recipe and taking the time to leave a very kind comment and review. I am happy these worked out for you. Your kind words made my day! I am wondering how you store them. I made them and they are delicious. I didn’t know if they could be stored in a container on the counter or needed to be refrigerated. Thank you. Hi Laura, I had mine in a covered container on the counter for one day & night, then put in them fridge the next day. They could be on the counter for a day longer maybe, but I didn’t want to chance it, as it can get humid where I live and unprocessed food can spoil faster here. Hi Melody, Thank you so much for trying the recipe and taking the time to leave a kind comment. I know what you mean, I have trouble keeping my paws off of them! I try to only make them when people are here, as I should not be alone with a batch of them, lol. Hi, can the dough be refrigerated for a later time or frozen? Hi Tiffany, I would think you could refrigerate the dough for a few days. Not sure about freezing it, but it can probably be done. Should these come out of the oven with brown bottoms but tops the look decidedly undone? Lisa, They do look that way until they are cooled almost completely, then the tops will then set up. That way they are a little crisp on the outer edges and softer in the middle. Thank you so much for this amazing recipe! My 5 year old son eats Paleo for medical reasons and he’s been going crazy for a cookie! I’ve made some other paleo sweets, none of which have been well received. He was so excited to help me make them and even more excited to help eat them! He ate 2 after they cooled and is already asking for another after dinner. My 7 year old, extremely picky daughter also loved them. Instead of butter we used organic coconut palm shortening and they came absolutely perfect! Thank you! Hi Jennifer, I know the “going crazy for a cookie” feeling when you have dietary restrictions. I am so thrilled your son and daughter are enjoying them. I use the palm shortening instead of butter sometimes too and it works out just great! Thank you for taking the time to leave such a kind comment. Delicious!!! Made the Paleo version tonight, without molasses, and the whole family loved them. My husband ate 4, and he never likes the paleo treats I make. Thanks! Thank you Amy for your most kind words 🙂 So glad your hubby approves! They can be so particular. These are my fave keto cookie! And I’ve been LCHF for 7 years come April, so I’ve tried MANY. THANK YOU! Perfect! We love these! We used Lily’s stevia sweetened chocolate chips. Yummy cookies! Thank you! We also used Swerve confectioners and left out molasses. We’re doing Atkins/Keto. Thank you so much for your kind comments and the glowing review. You are very sweet to take the time to do that. I am thrilled to hear that they are good without the molasses, as it so messy to use, and would be much simpler to leave it out, lol. These are the best paleo cookies ever! I’m switching my pickiest eater to paleo and she loved these. They taste just like the real thing. Thanks for the recipe! Best gf chocolate chip cookie I have made to date! Thanks for the recipe-it’s my new go-to chocolate chip cookie! Hello! My son has a tree nut allergy and can’t have the almond four. He’s not allergic to coconut though. Any suggestions on what to replace the almond flour with and still be low carb? Sounds like a yummy recipe that I want to try out! 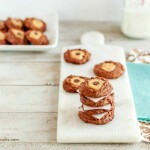 Koho, I have not been successful in trying to make this recipe with all coconut flour. It could possibly work with sunflower seed flour, but you would need to remove the baking power or baking soda, because baking soda + sunflower seed flour will turn the cookies green. I have not tried it though. I made these andIve been making these for a while now and this time i replaced half the butter with lard. Omg! It finally turned out EXACTLY like cookie dough! They are amazing! This is simply an amazing recipe the only problem is hovering over them waiting for them to cool enough to become an it more solid (hardest part of making these) I’m patiently waiting 🤗. This is my 2nd batch!!! Hi Stacey! Yummy recipe but like anothe rposter said mine flattened out. :(. I used cold butter and I live in NJ and it’s snowing so it’s not a warm climate so I’m not sure what happened! If the butter is cold, how does it properly cream? My butter/Splenda creamed mixture was very gritty. Any suggestions?? Thanks again! Was there anything you did different the third time? 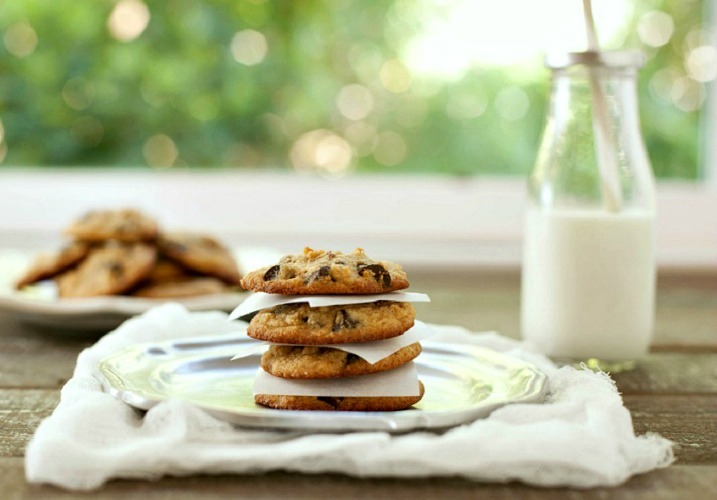 Coconut adds bulk so it would make them a bulkier cookie. Just wanted to make sure you’re chilling the dough to make sure it’s very cold and also make sure your pan is cold. If I use two cookie sheets, I eat bwttwre results between batches rather than putting room temp dough on a warm cookie sheet. Take out when baked, the use parchment paper so you can quickly transfer the cookies on top of a cold granite counter top. That’s how mine come out perfect. We’ve made these a couple times now and the 2nd time they were amazing!! The first time, I tasked my daughter, a self-proclaimed baker, with making them. We didn’t have any eggs in the house so I made an egg replacement using flax/water. She thought she was using parchment paper but actually used wax paper to line the pan. OOPS!! So the 1st batch were a flop. Definitely stick with making them SMALL!! She opted for large cookies and they spread out to cover almost the entire cookie sheet. So the next time, I made them myself with an egg, parchment paper, and kept them small. Like I said, they were amazing!! I’m low carving, so I used Xylitol as my sweetener and didn’t use quite as much as the recipe called for simply because I prefer things a little less sweet these days–I’m turning into my Grandma! When I was in my teens she suggested not adding as much sugar as recipes called for (Grandpa was diabetic at that point) and I thought she was crazy. Now I’m in my 40s and my taste buds have totally changed. But anyway! Thanks so much for a delicious recipe! They definitely hit the sweet spot of my craving! Thank you Tina for trying this recipe twice 🙂 They do need that egg to bind them together. I know what you mean by the taste buds changing. Now that I am almost 50 I can’t handle very sweet or salty. I have to judge the sweets by my kids taste buds, or else my treats would be not sweet enough for most people. Yes!! The egg made all the difference! And I have to tell you, even with the first time’s mistakes, we still ate them! It wasn’t till they were almost gone that I realized she had used wax paper instead of parchment…but they were good, wax and all! They just weren’t nearly as cookie-perfect as the 2nd batch! They’re the same color and right beside each other in our storage drawer–an EASY mistake to make! Just tried these. Used 1/3 cup pyure as the sweetener. I LOVED it! The true test was when I offered it to my teenage boys who have been rather skeptical of my recent trend of getting ‘healthy’ on them. I offered them healthy brownies recently and they hated them. They tentatively tried these, and when 3 were inhaled in 5 seconds, I knew I had a winner! Thanks! Marci, Thank you for trying the recipe and your kind words. So glad they past the teen boy taste test, lol. I have a 13 year old boy and college age kids, who are also skeptical of healthy treats and food. They inhaled these too. I am lucky to get one. Wondering if I add low sugar Cranraisins and natural coconut (sugar free) and maybe walnuts instead of pecans, would that alter the texture? or just make them much better. You can use walnuts instead of pecans, and the other additions sound really good, but the coconut may change the texture somewhat (might be really good though). Cranberries are excellent in cookies! Can I omit the coconut flour and use just almond flour?? Does it hurt the recipe ? Miranda, you could replace the 1 tbsp coconut flour with 4 tbsps more almond flour, but it may not be exactly the same texture. The only ingredient I don’t have is the coconut flour. It’s a very small amount needed.. can I just skip the coconut flour in this recipe?? Did you spoon or scoop your almond flour? I can’t wait to make these and know measuring incorrectly will destroy the texture. Hi Rochelle, I just scooped the almond flour with a measuring cup. can you use honey instead of coconut sugar for the sweetener? thanks! Uzma, Changing the coconut sugar to honey will change the liquid to dry ingredients ratio which can the texture of the cookies. Just tried these last night! I used 1/2 cold butter and 1/2 cold coconut oil (because I ran out of butter).My cookies turned out kind of cake-like, do you think it could be because of the coconut oil? I really am dying for a crisp chewy cookie and I am having a really hard time making that happen! Faith, the butter works the best for the best cookie texture, and also letting the cookies cool enough to get solid also helps. These look amazing!! The butter in these wouldn’t work for my family though. Do you think that cold ghee or cold coconut oil would work for a substitute? Emmalee, you can use organic palm shortening (cool to room temp) in the recipe if you’re dairy free. I’m not sure if Ghee would work. wonderful recipe! The only change was I subbed 1/3 c of splenda brown sugar baking blend for 1/3 of the swerve. (since I didn’t have molasses) They have a great taste and texture. my 14 yr old daughter that is doing Low carb with me loved them! I used sugar free mini chocolate chips from our local Amish Store. I plan to explore your other recipes as well. thanks! Thank you so much Sonya. I’m so happy that your daughter liked them. It is wonderful that the Amish Store has sugar free chips. I have to order mine online, as our stores do not carry them. Do you have a WalMart near you? I found Hersheys Sugar Free chocolate chips there. Judy, I live in probably the only town without a Walmart, lol. We do have them at our Target though! These cookies are the best Paleo cookies I’ve made!! I even forgot to add the molasses and they were still amazing. Thank you so much for this recipe. Jennifer, Thank you so much for trying the recipe, and taking the time to leave such a kind comment! I really appreciate it & I’m so thrilled to hear they were still yummy without the molasses. 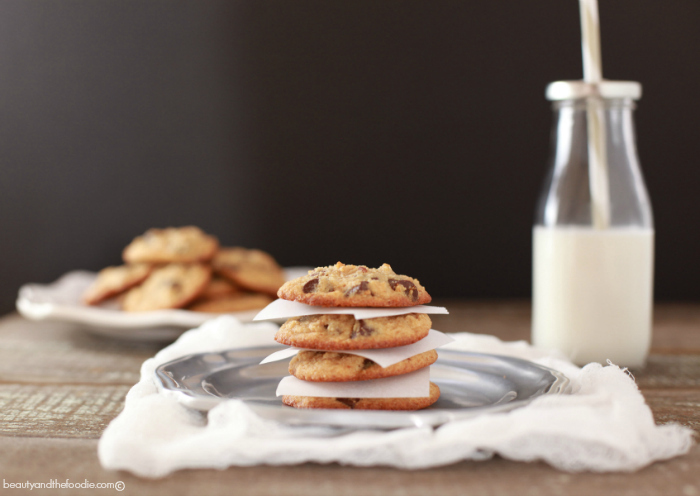 We’ve been looking for a great chocolate chip cookie recipe! These look great and simple – excited to try them out! Thanks! Wow! You really nailed this recipe. I flattened the cookies a little while they were baking and used unsweetened chocolate I had kickin around in the pantry. The texture is a mix between rich, crumbly butter cookie and coconut shortbread. Thanks so much, 10/10 for sure! These are yummy! Let cool for at least 25 minutes? Yeah, that doesn’t happen in my house! They barely got 5! But it’s a good sized batch, so there should be some left at the 25 minute mark so I can see what they’re supposed to be like! I have made quite a few low carb cookies and was excited to try this one because the others were kinda lame. Made these Saturday and they are the BEST EVER! I think molasses is the key! They tase just like regular chocolate chip cookies. Thanks for the recipe this is definitely a keeper! Hi Stacey, This may seem like a silly question…but I love how you have the cookies stacked in the picture with the paper in between the cookies. What did you use and where did you get them? Did you cut your own from parchment? These look amazing..I am making these as part of a dessert display for a wedding. The bride will LOVE these..she is paleo all the way. Hi Lynn, It’s not a silly question at all! And your right, I did cut up parchment paper into cookie size squares and would stack the squares between each cookie. The white parchment paper makes them show up better in photos, since they are all the same color. A Paleo wedding should be fun and challenging for the food. I’m thrilled the cookies will be in on it. Lynde, there is a Pin button on the side of post and one pops up every time you hover on a picture, in the left hand corner of photo. Can you substitute honey for the molasses? Hi Barbara, I would think you could. I just really like the flavor of the molasses. I made these tonight and they came out fantastically! I used splenda and i’m about to be using Eryithrol (i know i spelled that totally wrong) anywho! I made my mom love these cookies as well and she’s not a fan of dark chocolate! i used an 85% dark chocolate lindt bar it was delicious! thank you so much for a wonderful recipe i will be making for ever! Will it Make a difference in the texture and taste if i don’t use molasses? Lisa, the texture will be the same, but they taste a little better with the molasses. First batch came out of the oven. Couldn’t wait for them to cool for 25 mins. They tasted yummy. Didn’t put the optional 1/8 salt but should have. I did do 1/3 Swerve and 1/3 Sukrin BS to equal the 2/3 sweetener. I will be making these again. These are a keeper. Kapu, Thank you so much for trying the recipe 🙂 I need to figure out what Sukin BS is. Made ice cream sandwiches with them also. Perfect with the Halo Top ice cream. Thank you Kapu 🙂 I keep looking for Halo Top in the stores we have, but have not found it yet. I think my city is slow to pick up new products. Jennifer, the butter needs to be cold. If you live in a warm climate and the butter was not firm and cold then putting the dough in the freezer for 20 minutes will help with spreading. Gloria, They are the crisp edges chewy-middle kind I believe. Mine turned out cake like, just skipped the molasses to keep the carb count down. I’ll try the brown sugar swerve next time like suggested in one of the comments. what is the carb count without the molasses? i’m about to try this recipe and will probably skip it as well…MATH. Hi Melisa, The molasses is a small amount spread out over 2 dozen cookies. It olny adds a trivial amount of carbs per cookie. I put it in the nutrition calculating software and the net carb amount per cookie came out to almost the same without it. It would still be about 1.9g to 2g net carbs per cookie. Crystal, Thank you 🙂 I love hearing that. You are very kind! Thank you Heather for your kind words 🙂 Made my day!